You know, a little obsession every now and then isn't such a bad thing. As an unanticipated side effect, you could start to smell like apple cake. Now there's an unforseen bonus! I think you're now officially the Queen of the Apple Cakes. this is not a bad obsession to have! I was worried a bit that you were going all healthy on us with the whole wheat flour, but happy to see that's offset by the x2 glaze. It looks perfect! I've gotten obsessed with things before, too--I can relate. Your cake looks delicious and the marshmallow trick is awesome. Nice job. Apple cake with a hint of marshmallows? I may be in heaven.. This is definitely worth being obsessed over. I'd double the glaze too! Apples and caramel were made for each other. Marshmallows in the batter? You are an evil genius! As soon as I saw the words 'caramel' and 'apple' I knew I had to make this! mmmmm! I'm glad you posted this, I've still got tons of apples to use! And that marshmallow idea is a fantastic little trick to have up my sleeve, I'll definitely be trying that out! This is quite interesting check out David Lebovitz today. He also posted an apple cake. I love your site. I guess as far as obsessions go this would be the least harmful- well unless your eating them all the time, everday, every meal. Good gats. Looks yummy Grace. I wish I had a piece of all these things you make for breakfast every morning. Grace, looks like an interesting cake; full of different flavors & textures. Well, I must admit that I can't past up apple cake. I consider them healthy since they contain fruit. OK any baked good that contains fruit or vegetables is healthy...right? 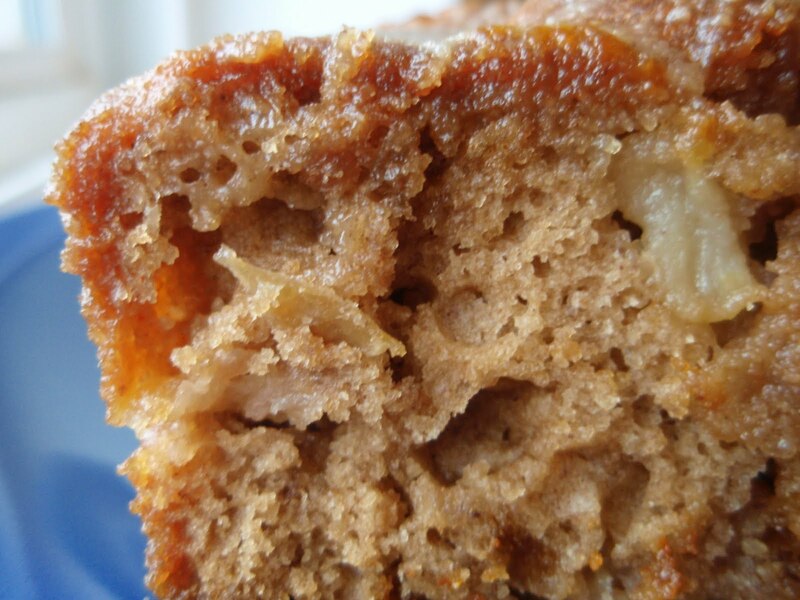 Well, an apple cake kick is a nice kick to be on. Not for your hips, maybe, but nice, nonetheless. I think all glazes are meant to be doubled, and I have to try that marshmallow trick! Thanks for the link too! I LOVED your quest to find the perfect wrap! I'll love this quest as well! And you are off to a good start! Wow, your apple cake cure looks delicious...it is a must try! i LOVEEE that there is marshmallows! YUMM! If you're going to be on a kick, a cake kick is the one to be on! Sounds just delicious. Looks like such an amazing moist cake. The cake sounds amazing and I love the double caramel glaze! Hey Grace, I agree, apple cakes rock! Doubling the glaze...a great idea! I will give your modifications a try. How fun and delicious! I love the addition of marshmallows...yum! 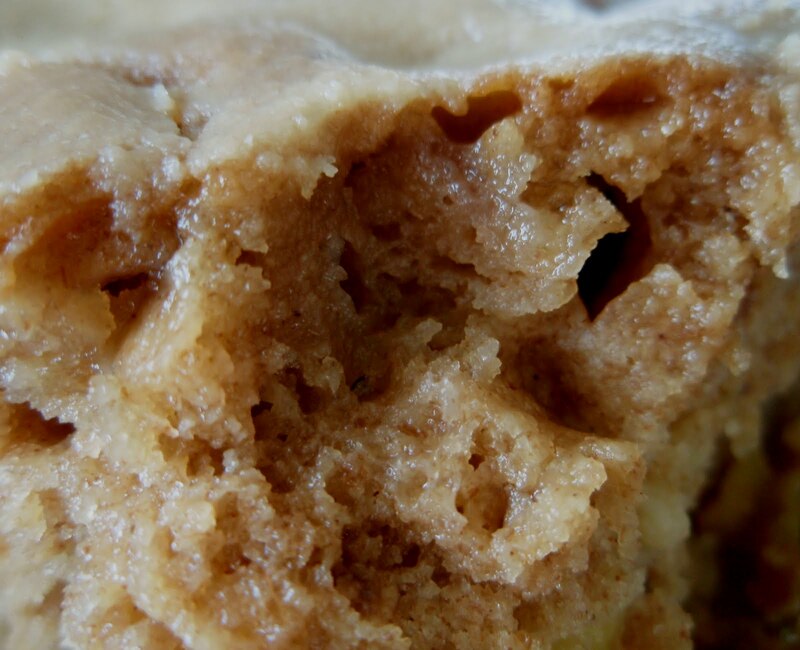 I actually have your original apple dapple cake printed out to try soon. Now which one do I make? Oh goodness, life's choices. My apple cake file is getting thicker and thicker, due to your obsession, Grace! But I think you may have reached some sort of nirvana here with the marshmallows (just about my most favorite thing) and the doubled glaze. I love lemon the way you love apple, it seems. Favourites always have a way of repeating themselves in the kitchen. The glaze makes this cake for me - smart choice doubling it! I wish we were neighbors so I could have a huge slice of this tasty cake. Yummy, I must try this, I adore apples and adding marshmallows, quite the experiment, Love it! This is a wonderful cake...the house must have smelled fantastic when it was baking. I am glad that you are going through a cake obsession-because these are the fabulous recipes that you prepare and share with all your foodie friends. Haha you're hilarious. I love your marshmellow theory :) Let me know how you chicken wrap hunt turns out! I'm a firm believer in doubling all glazes!! Sooo...did you pop a marshmallow or two in your mouth while you were stirring it all up? :) It's a beauty you got there. Mmmmmm, it sounds great from the get go but you sealed the deal with the addition of marshmallows! Can't wait to see the rest of you apple cake creations! Apple cake, applesauce cake...it's all good. Have you tried it with meringue? Yep, that's good, too. So many apple cakes, so little time. I can alsmost smell the cinnamon and apple from here! That looks like one of the best cakes I've seen in quite a while, delish! I think you are the apple cake pro! Marshmallow migration is a good thing. I'm not a big fan of commercial marshmallows but apple cake could sway me. I love apple baked goods! Oh, Grace...I get on kicks too (my latest has been anything with sweetened condensed milk, which is unusual and weird, I know), but I do hope you get around to trying that Toffee-Apple Upside Down Cake---it is so, so good. I think you're going to love it! that looks absolutely moist and delicious! This does look good. I love your addition of marshmallows too - nice. You can never have enough apple cake recipes :) The marshmallows sound great in it! I LOVE that you put marshmallows in there! !